The iconic pony car has been completely redesigned for the 50th anniversary edition, which has only happened a handful of times in its history. It has produced a visually trimmer and meaner looking sports car to appeal to the global market. 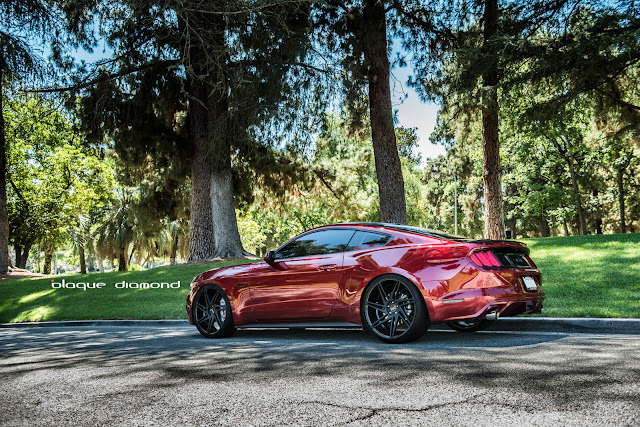 The 18 inch wheels that come stock on the Mustang, weren’t cutting the mustard for this anniversary edition. We bumped them up a whopping four inches to a set of 22 inch BD-1’s in two tone black. 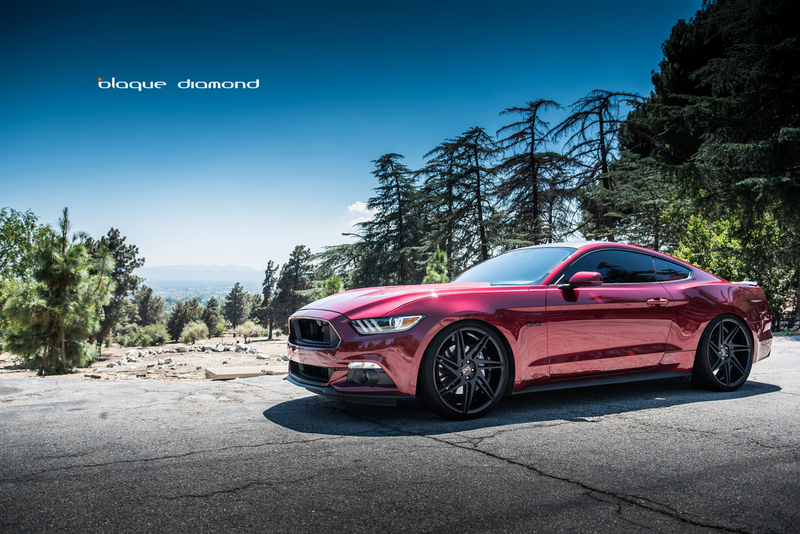 The independent suspension both front and rear, compliment the new rims and keep the Mustang firmly planted to the pavement. The steering is confident and it’s a extremely fun car to drive! 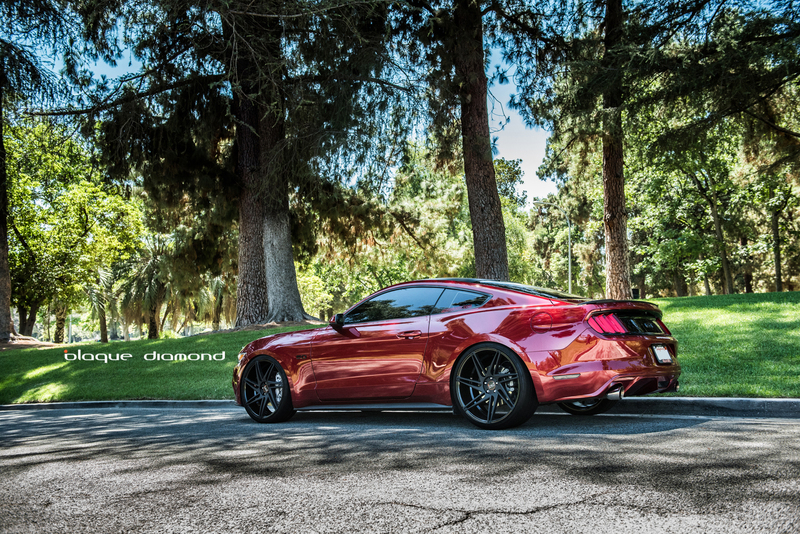 Our BD-1 wheels come in staggered fitments in 20 and 22 inches. They are available in Matte Graphite w/ Machined Face, Full Matte Graphite, Silver w/ Polished Face, Semi Matte Black. 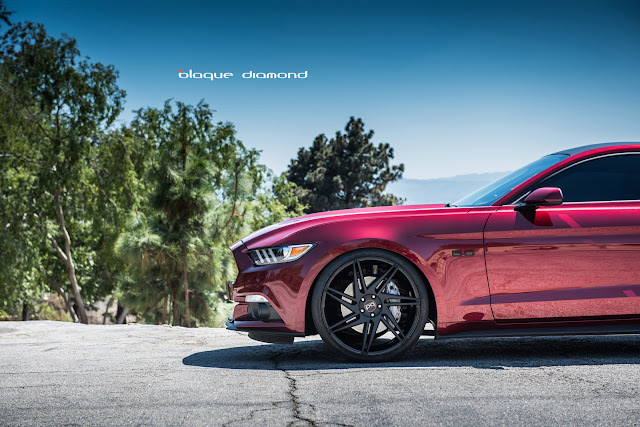 The BD-1 is now available in two tone black is available in staggered fitments of 22 x 9 and 22 x 10.5 with a deep angled concave wheel design.